In California, it is unlawful for an employer to harass, bully or mistreat an employee on the basis of the employee’s gender, race, sexual orientation, nationality, or other personal characteristics. Workplace harassment encompasses a wide range of wrongful conduct such as verbal taunts, bullying, physical threats, and other abusive behavior, and need not be “sexual harassment” to be illegal. Because these claims carry a short statute of limitations period, victims of workplace harassment should speak with an experienced employment attorney as soon as possible. 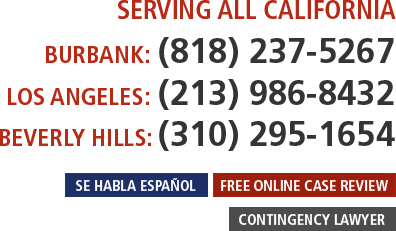 A Los Angeles harassment lawyer at Gallenberg PC may be able to take your case on contingency fee basis! We offer a free confidential initial telephone intake to prospective clients. If you believe you were unlawfully harassed at work, call us now at (818) 237-5267 (Burbank) or (213) 986-8432 (Los Angeles) or (310) 295-1654 (Beverly Hills) or you can fill out our quick and easy online Case Evaluation Form; this is the fastest way to get your case screened by an attorney. Harassment based on any of these traits is unlawful, no matter the circumstances. Therefore, sexual harassment may occur between colleagues of the same gender. Likewise, racial harassment can happen between people of the same race. As long as there is harassment based on one of the above criteria, it is unlawful. California law defines harassment broadly to include verbal harassment, physical harassment, visual harassment, and sexual favors (applicable to sexual harassment). Verbal harassment includes slurs and derogatory comments. Physical harassment encompasses unwelcome touching and assault, as well as “blocking” or any interference that impedes the employee’s normal movement. Visual harassment could be the posting of offensive or derogatory cartoons, drawings, or photographs. Sexual favors are a type of sexual harassment wherein a supervisor or coworker offers some sort of benefit or privilege in exchange for sexual acts. Therefore, it would be illegal for an employer to use racial slurs directed at or around employees, to assault an employee on the basis of her sexual orientation, or to post offensive cartoons about religion. The California law that protects workers from harassment is called the Fair Employment and Housing Act (“FEHA”). Along with other California statutes, FEHA gives workers expansive rights and even places responsibilities on employers. For example, if the person harassing the employee is another employee or supervisor, both the person doing the harassing and the employer or company may be liable. In addition, employers must take every reasonable step to ensure that harassment does not occur. On the federal side, both the Civil Rights Act of 1964 and the Americans with Disabilities Act (“ADA”) protect workers in the United States from discrimination. These laws overlap to a significant extent with FEHA; however, FEHA usually provides greater protection for Californians. This is because FEHA uses broader definitions to protect more people and also protects traits that the federal laws may not. What to Do If I Have Been Harassed At Work? Keep in mind that the victims of workplace harassment have as little as 180 days from the date of the harassment to take action for federal harassment claims and a slightly longer period of time for California harassment claims. The federal claims are filed with the U.S. Equal Employment Opportunity Commission (“EEOC”) and state claims are filed with the Department of Fair Employment and Housing (“DFEH”). If an employee has a California harassment claim overlapping with a federal harassment claim, generally the employee is better served by filing a claim with DFEH. A right to sue from these agencies should generally only be obtained if the individual already has a lawyer. If you are unsure of what to do, contact an experienced employment attorney immediately. If you were the victim of harassment, you may be able to recover back pay, emotional distress damages, cost of suit, prejudgment interest, and attorney fees. Gallenberg PC has experience helping California victims of workplace harassment. A Los Angeles employment lawyer at our office may be able to take your case on a contingency fee basis! To be considered, you can call our new client intake line or you can fill out our quick and easy online Case Evaluation Form; this is the fastest way to get your case screened by an attorney. We do not charge prospective clients for a confidential telephone intake or online case review. Submit your case for consideration now to a Los Angeles harassment attorney; please dial (213) 986-8432 now. For Beverly Hills, please call (310) 295-1654. To submit your case for review to an employment lawyer in Burbank and surrounding San Fernando Valley, please call (818) 237-5267.